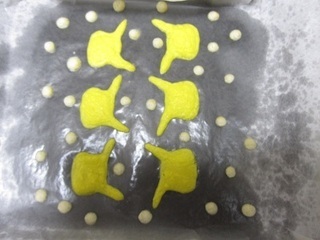 First, lay out on the baking tray your favourite design using appropriately coloured cake dough. Bake this first layer for about half a minute or one. 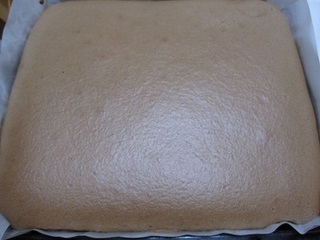 After this, you may add on with further layers (and then bake for another half a minute or so), or you may proceed to the second step - adding on the main cake dough to make the main cake portion. 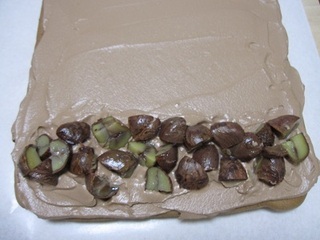 Third step - spread your favorite cream (no cake rolls are complete without that sinful CREAM) and add awesome toppings, if you wish (in this case, chestnuts). 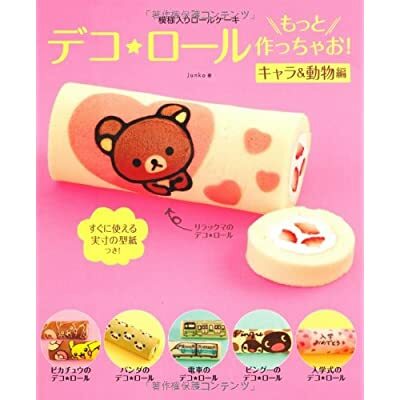 Finally, roll it up and add on lines and final touches with dissolved cocoa powder using a brush. 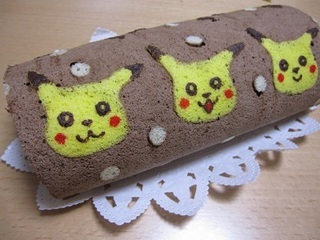 End result - a Pikachu Deco-Roll!! Really simple yet complicated isn't it? The above is only a rough idea. If you'd like to make one, I'd suggest an actual recipe book. On sale at Amazon or Kinokuniya.